Based in Hull, East Yorkshire, we are a local family owned company established in 1995. 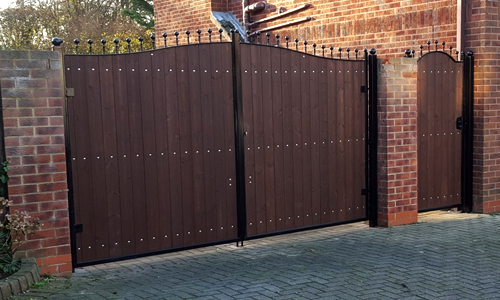 Supplying top quality wrought iron gates, fencing and railings across Hull, we have built up a solid reputation for style and durability. Bespoke service with free no obligation advice and survey. 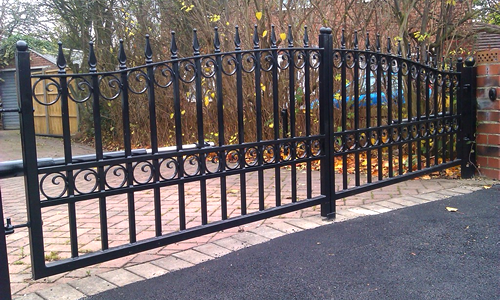 Whether you require a basic low cost style of gates and railings or a more ornate design we can cater for all tastes. With our extensive range of finials, bars and designs we can create any product to suit your personal preference. 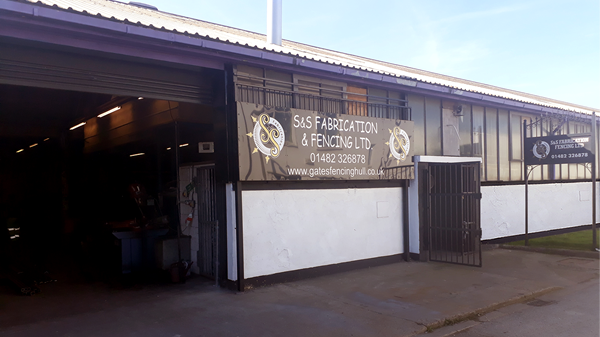 S&S Fabrication and Fencing offer a complete service, covering small to large projects for Residential, Commercial & Industrial customers across Hull and East Yorkshire. Upon our initial visit, we can assist with samples and design, aswell as offer practical advice to ensure total peace of mind. All of our products are also fully guaranteed. 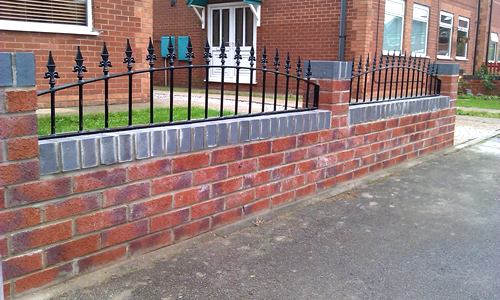 Our staff at S&S Fabrication and Fencing are extremely experienced and reliable professionals. We endeavour to provide you with a fantastic service from initial contact through to aftercare. We are health and safety compliant and covered by Liability insurance. 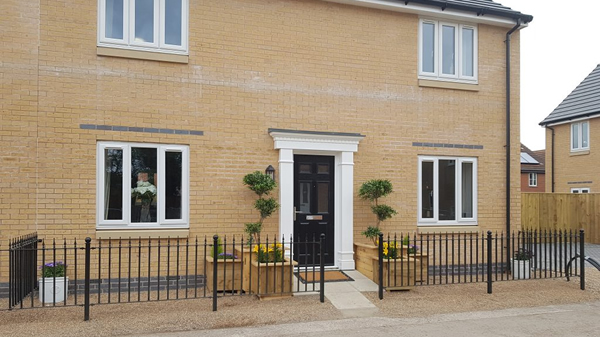 Our fitting staff present themselves in a professional manner and ensure the site they have been working on is left in a clean and tidy state. We offer a full service from site assesment and help with design, through to manufacture and installation. We have full liability insurance and guarantee all our work. If you have any questions or would like a free quotation, please call us on 01482 326878 or click below. 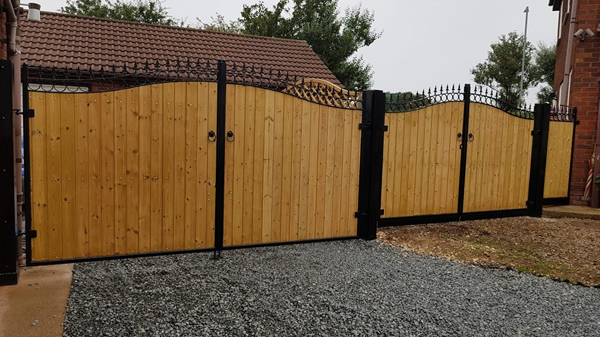 Our steel framed wooden gates offer the privacy of a conventional wooden gate with the durability and style of a steel gate. We cover Hull and surrounding areas. 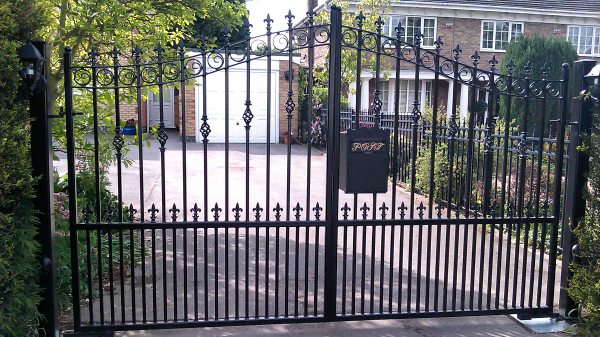 Our gates are made-to-measure and come in various designs. We offer free no obligation quotations so call today on 01482 326878.